Britain's court of appeal ruled on Friday that Ukraine had a justiciable defense in a $3 billion Eurobond case that was originally brought by Russia and said the case should be allowed to go to full trial. 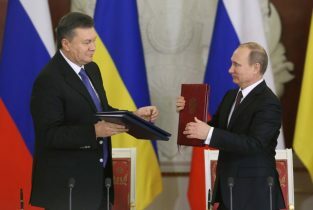 The decision in effect sets aside a lower court judgment that went in favor of Russia in March 2017, when a judge ruled the case, centered around money Moscow lent to Kyiv in 2013, should not proceed to trial because Ukraine had not offered a defense that was justiciable - or capable of being settled in court. If the Supreme Court, which is likely to hold a hearing in the first half of 2019, also agrees that the case should go to full trial, the case will be heard at the UK's High Court. "It would be unjust to permit ... Russia to proceed to seek to make good the contract claim without Ukraine being able to defend itself by raising its defense of duress at trial," the court of appeal judges said in their judgment, given on Friday. They said it was desirable for the case to go to trial "to allow the whole pattern of alleged threatening behavior by Russia to be assessed in its full context". A statement from Ukraine's legal counsel, Quinn Emanuel Urquhart & Sullivan UK LLP, said: "The Court of Appeal ... has in allowing Ukraine's appeal unanimously overturned the decision of Mr Justice Blair, and found that Ukraine's defense of duress is justiciable and should be the subject of a trial." Russia's government, the sole holder of the notes, is represented by Cleary Gottlieb Steen & Hamilton LLP. It played down the significance of the ruling, with Finance Minister Anton Siluanov noting the court had backed only one of Ukraine's four arguments. It had also argued that non-payment was a countermeasure against interference in its economy and territory following Moscow's military 2014 intervention and annexation of Crimea. The prices of Ukraine's bonds rose across the curve after the news, with issues maturing in 2024 and 2026 up around half a percent.